Land hermit crabs are often desperate to “Keep up with the Jones,” and will congregate with other crabs for a solely selfish purpose–to move into a bigger shell–a recent study shows. 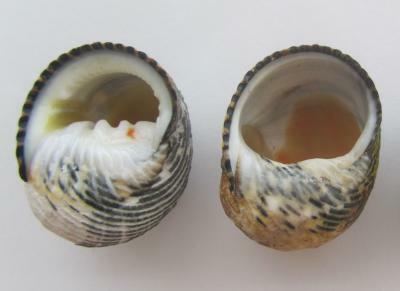 Mark Laidre, a UC Berkeley Miller Post-Doctoral Fellow, found that while hermit crabs in the ocean can often just find abandoned shells laying around, shells on land are few and far between. This is why certain species of land hermit crabs congregate to kick others out of their shells. 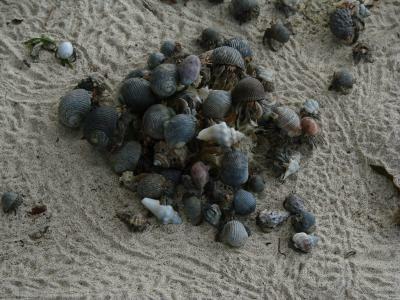 Laidre found that when three or more hermit crabs come together, others realize what is going on and join in. The crabs usually will line up from smallest to biggest, while each crab is holding on to the one in front of it. When one crab is “evicted” the others simultaneously start moving in to bigger homes. These crabs move into bigger shells so they have more time to grow and to produce more eggs. A crab in a bigger shell can sometimes produce 1,000 more eggs. Laidre explained that this rare behavior is an example of how animals evolving and moving to a specialized niche can prompt new behaviors, in this case turning a loner animal into a socialite. UC Davis evolutionary biologist Geerat J. Vermeij said this study is a perfect example of evolution.